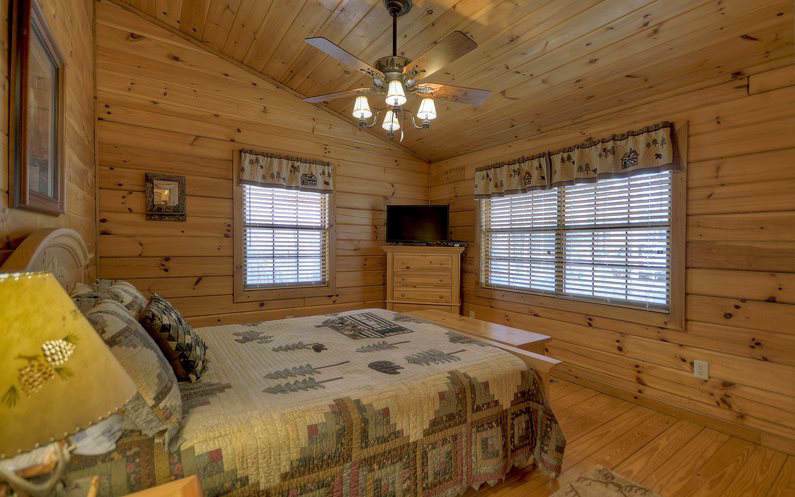 Aska Adventure Area Log Cabin less than a mile to Toccoa River canoe launch/ beach area. 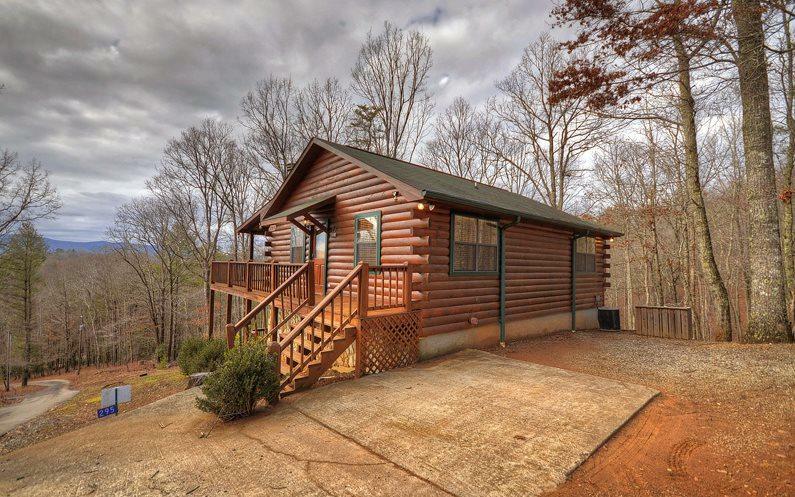 Long range mountain views from this 3/2 cabin, 2 bedrooms & full bath, large kitchen w/dinning room & great room on main level w/wrap around covered porch. Guest bedroom and full bath in finished basement & terrace level porch. New HVAC, Plenty of parking, easy access & surrounded by US forest property near end of road privacy w/no real close neighbors. 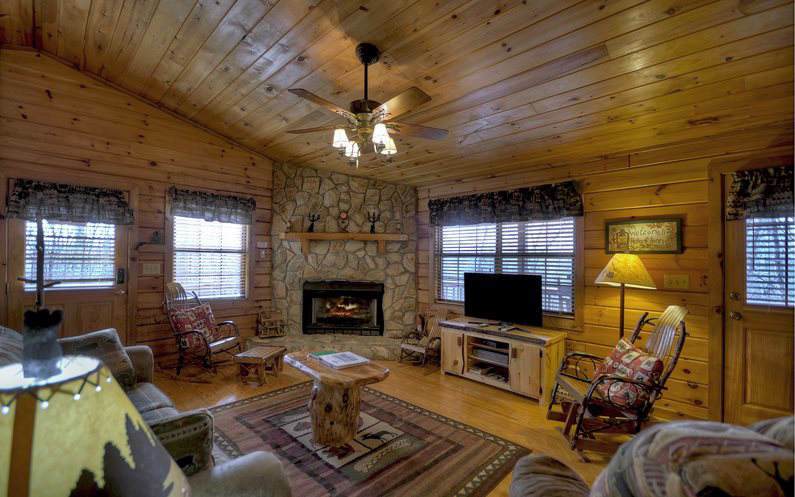 Rocking chair porches, fire pit area, abundant wildlife, close to the Toccoa River, Lake Blue Ridge, Forestry service, hiking & biking trails, and a scenic drive to downtown Blue Ridge. 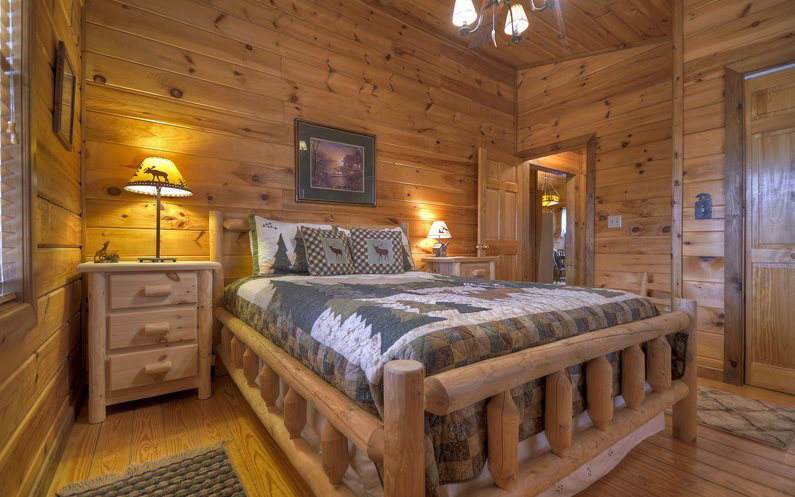 Cabin in successful rental program, most furnishings available for purchase on a separate bill of sale. Listing provided courtesy of Remax Town & Country- Br Fain Street.